Linell, M.L. 1896. 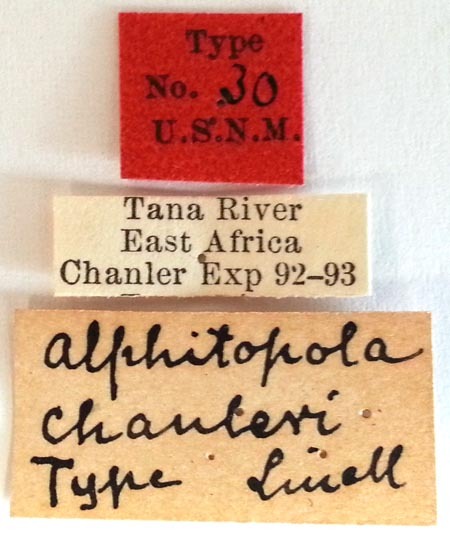 List of Coleoptera Collected on the Tana River and on the Jombene Range, East Africa, by Mr. William Astor Chanler and Lieutenant Ludwig von Höhnel, with Descritions of new Genera and Species. Proceedings of the United States National Museum, Washington D.C., 18(1094): 687-716.